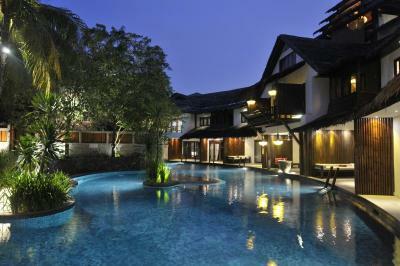 Lock in a great price for Villa Samadhi Kuala Lumpur - By Samadhi – rated 9.2 by recent guests! Most beautiful hotel I’ve stayed at. Attention to detail on every single thing and gesture. The staff was incredibly kind and made every effort to make our stay amazing in every way. The food and cocktails are excellent. The best hospitality and service..the place, rooms were excellent and amazing. truly one of the best and very highly recommended..will definitely come back again...damn good! The stay has made me decide to come back every year. I enjoyed myself so much and it’s unbelievable to feel like I am at a exotic faraway resort when actually I am smack in the middle of city where at the entrance I could see my office building a stones throw away. Highly recommended. - The staff are amazing and so friendly, I felt like I was in my home. 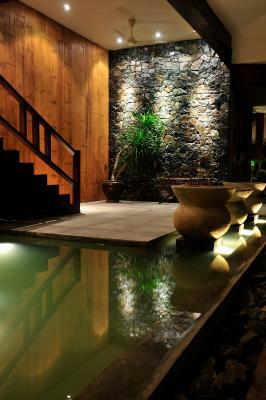 - I really liked the pool and the villa. 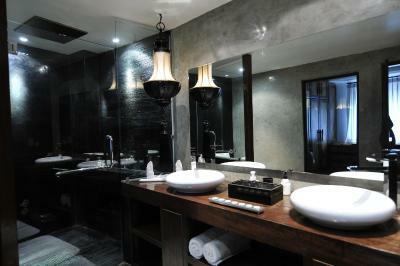 - I liked the whole design, I will recommend it to all my friends, I will stay there when I get back to Kuala one day. 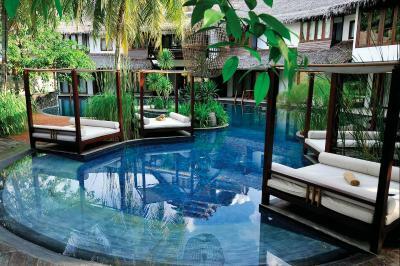 - Paradise stone throw away from KL central. - Greeted with smiling friendly staffs. - Value for money and cleanliness was spot on. 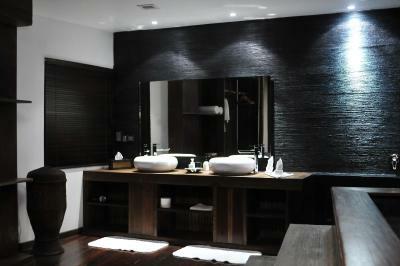 - Room space was better than expectation and jacuzzi was bonus. Perfect location, excellent service & great rooms. 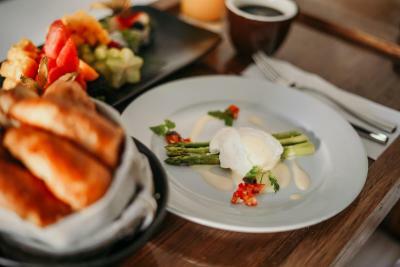 Villa Samadhi Kuala Lumpur - By Samadhi This rating is a reflection of how the property compares to the industry standard when it comes to price, facilities and services available. It's based on a self-evaluation by the property. Use this rating to help choose your stay! 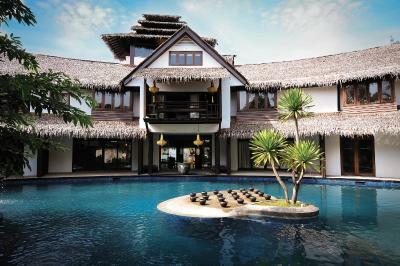 A garden resort within Kuala Lumpur City, the 5-star Villa Samadhi Kuala Lumpur - By Samadhi provides luxurious Asian-inspired rooms with free WiFi and thatched roofs. 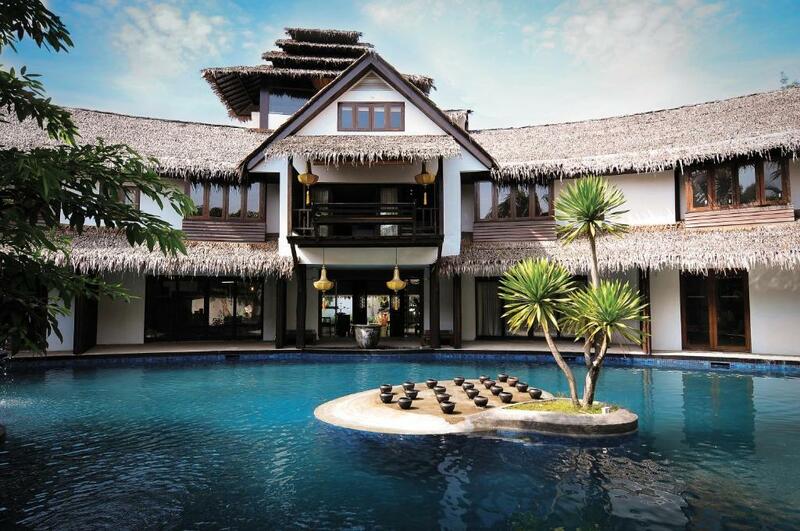 An outdoor lagoon pool weaves through the resort and connects all rooms. Parking is free. 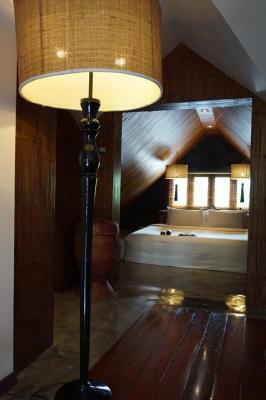 Built with a charming mixture of bamboo and concrete, the spacious air-conditioned rooms are equipped with a flat-screen TV, DVD player and mini-bar. 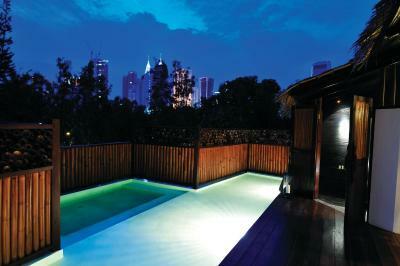 Guests can jump straight into the pool or sunbathe on their balcony. 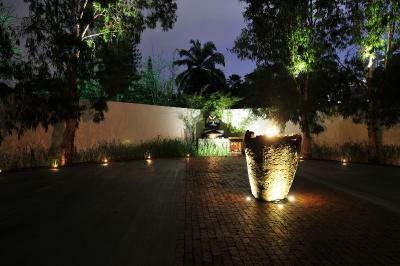 Villa Samadhi Kuala Lumpur - By Samadhi is a short 10-minute drive from Bukit Bintang, Suria KLCC and the Petronas Twin Towers. It is an 8-minute drive from luxury shopping at Pavillion. Kuala Lumpur International Airport is an hour's drive away. 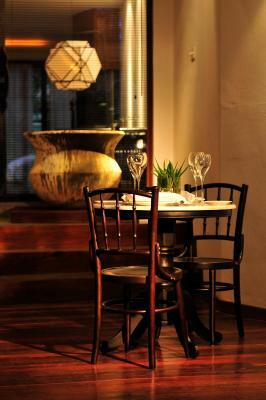 The open-air Mandi Mandi restaurant serves Malay and international cuisines. 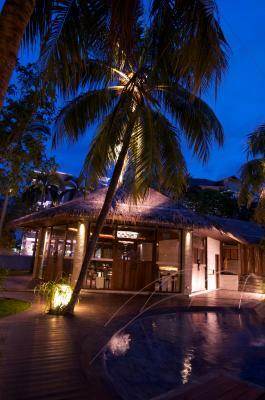 Drinks can be enjoyed at Bumbung Bar. 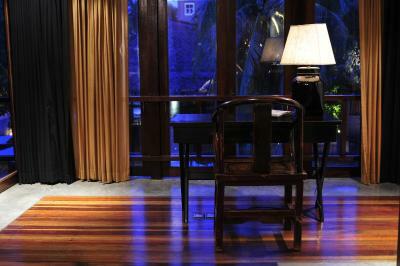 The villa provides laundry, dry cleaning and ironing services. Smoking is not allowed on this property. 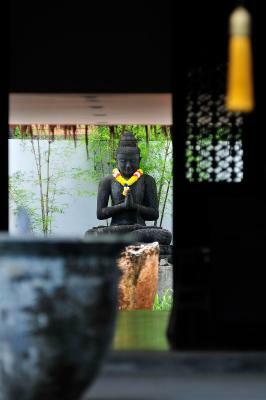 When would you like to stay at Villa Samadhi Kuala Lumpur - By Samadhi? Featuring a kitchenette and dining area, this spacious air-conditioned room comes equipped with a flat-screen TV, DVD player and a minibar. 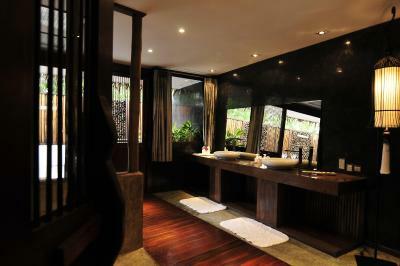 Private bathroom has a rain shower. 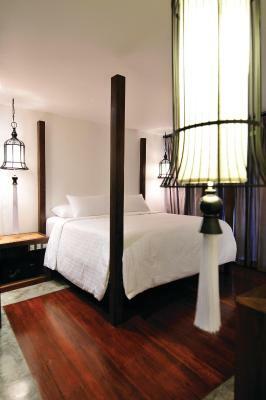 Spacious air-conditioned rooms are equipped with a flat-screen TV, a DVD player and a mini-bar. 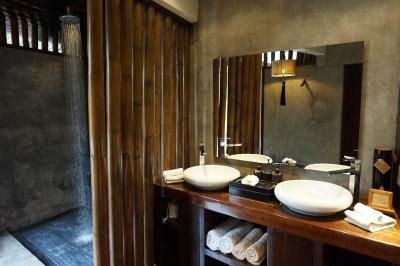 Private bathroom offers rainshower facilities. 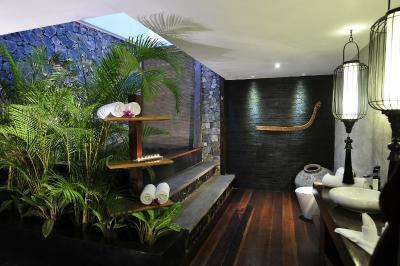 A private plunge pool is available. 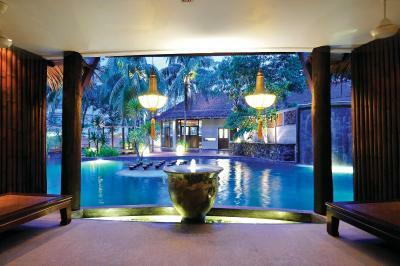 Enjoying direct access to the hotel's pool, this spacious air-conditioned room also has private garden. Includes a flat-screen TV, DVD player and a minibar. 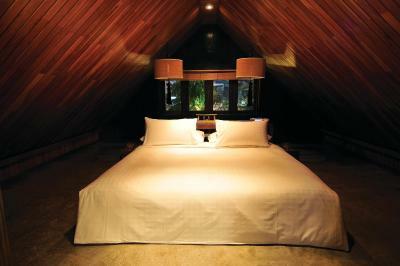 Featuring a pyramid-like ceiling, this spacious air-conditioned room has a private pool and views of the cityscape. It includes a flat-screen TV, DVD player and minibar. 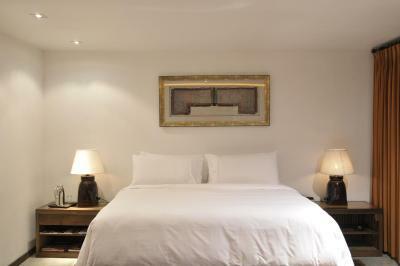 A spacious room featuring an iPod docking station, a safe and a flat-screen cable TV. The private bathroom has a rain shower. This double room features a electric kettle, bathrobe and DVD player. 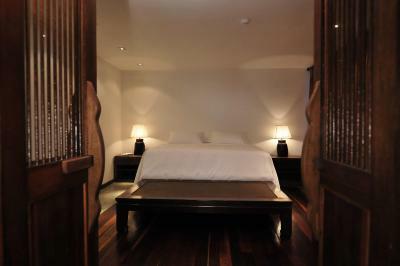 This double room features a bathrobe, mini-bar and DVD player. 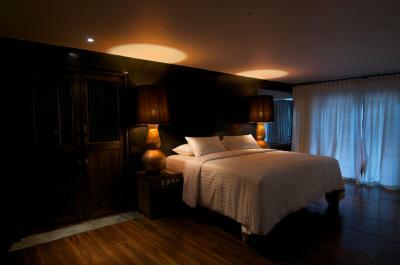 This double room has air conditioning, electric kettle and iPod dock. 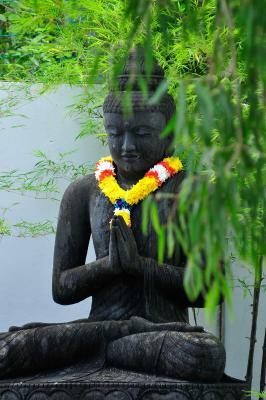 House Rules Villa Samadhi Kuala Lumpur - By Samadhi takes special requests – add in the next step! Villa Samadhi Kuala Lumpur - By Samadhi accepts these cards and reserves the right to temporarily hold an amount prior to arrival. Please present the same credit card used to guarantee your booking when checking in at the hotel. The total amount of the reservation will be collected upon check-in. 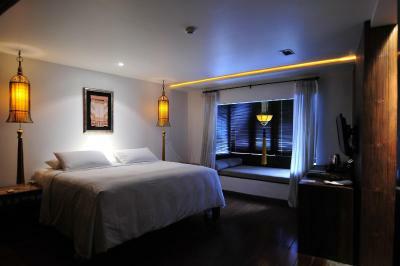 Please note that some room photos are for illustration purposes only, and room layouts may differ for different units. Please note that your credit card will be charged the total price at least 14 days prior to arrival. Any bookings with invalid credit cards and contact details may be canceled. 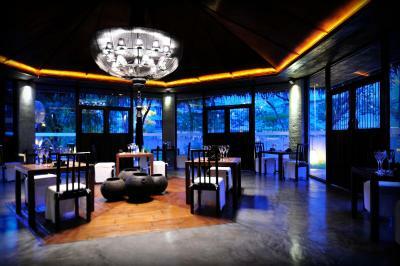 Love the ambiance and the excellence service provided by the Villa. Our every need was taken care by the staff almost instanteneously. Staff were helpful and approachable. The jacuzzi was not hot. The rain shower is not clean and is clogged, so it was not strong and smooth. There were lots of hairs stuck on the wall. Place for breakfast was really hot and uncomfortable. Aircond remote for the room does not work well. Bed was super comfortable. Food was really nice. The hose next to the toilet can not be hung as the hanger is fitted very close to the floor. 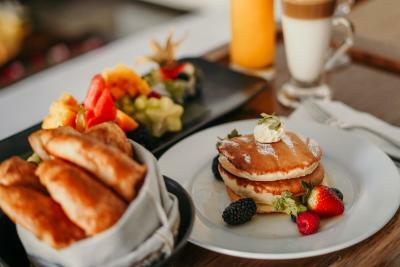 Breakfast selection is very good. Beautiful Oasis in KL. Private spaces, lovely staff, good food and drink options on site. No too many rooms so lots of personal attention. The onsite spa is great. 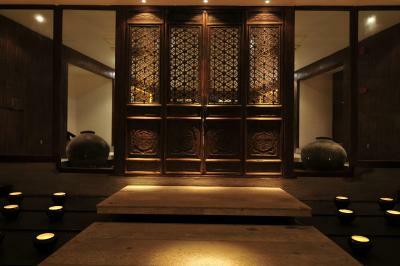 I had a lovely full body massage which was superb. Special little treats and birthday/ anniversary touches added all of which helped to make our stay really special. Thank you to Mark and all of the staff. In room dining menu and breakfast menu was not in the room so we had to call several times just to get the menu and order the food. The plunge pool was ok but littered with twigs and small branches. The staff was excellent. They made sure that my stay there was comfortable enough for the night. I didn't like other couples complaining about the tax that they have to pay.Wasting my time during check out. You wanna stay here you better have enough money and don't be a cheapo. 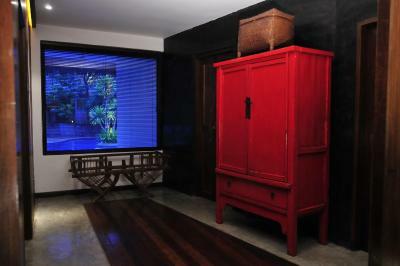 Its my 3rd time and 3rd room in Villa Samadhi. 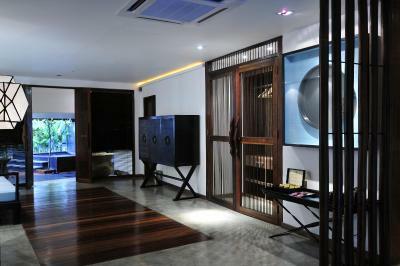 Love all 3 rooms with their special concept and design. We always look forward on the evening drinks and by far the best Whiskey Sour i ever had. 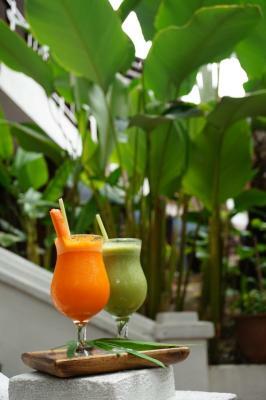 Breakfast menu is really good with a great choice of healthy morning drinks. It is in a residential area an hour from the airport and about 10 minute drive from shops but still in the heart of the city. Not a big deal at all. Getting a grab/taxi for when we wanted to go out was cheap and convenient. The place was so beautiful we mostly wanted to stay there. Booked a luxe crib and got the best room. Very spacious with separate hall and bathroom. Jacuzzi was ready and warm when we checked into the room. They treated me with a cute birthday cake and heart shape rose petals on the floor for our anniversary celebration. Also available in the room were some local fruits and kueh. Simple buffet breakfast was available but most hot items n juices and smoothies had to choose from the menu. Staff very friendly and attentive. They even washed and cleaned our car. Highly recommended and would definitely come back again. Our air conditioner was a bit noisy. There were some staff sweeping (and talking) beside our room at 7:30am which was annoying. I would like a choice of two different pillows. It was so quiet and yet so close to downtown KL. 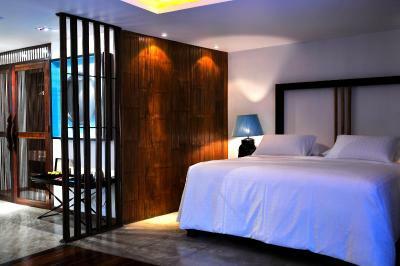 I liked the tropical but contemporary styling of the hotel and room. The restaurant space with the doors open for breakfast was lovely. I really had no problems at all. Seriously, there's even a 1 hour free cocktail time, and the food is quite good, yet expensive, but still good. From the moment I drove in, service was amazing. 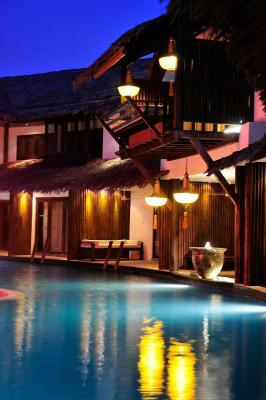 The staff are friendly, the rooms are neat, the bathrooms are huge, the outdoor jacuzzi is great, the swimming pool is perfect. Literally is the best one night staycation I've had. The wrongly charged food and beverages bill charged to me , even when I did not order room service. However the counter staff dealt with this very efficiently and politely. If this inaccuracies of charging can be improved, the service will be more than excellent.